Since graduating from law school in 1994, she has enjoyed success representing injured workers and the disabled in personal injury cases, chemical and toxic exposure cases, head injury cases, deliberate intent cases, products liability litigation, automobile crash injury cases, medical negligence cases, and Workers’ Compensation and Social Security Disability claims. Her experience also includes complex family law litigation. Her wide range of experience in several areas of the law gives her a unique knowledge base among lawyers. She is a member of the West Virginia Association for Justice and serves as a member of the WVAJ Governing Board. 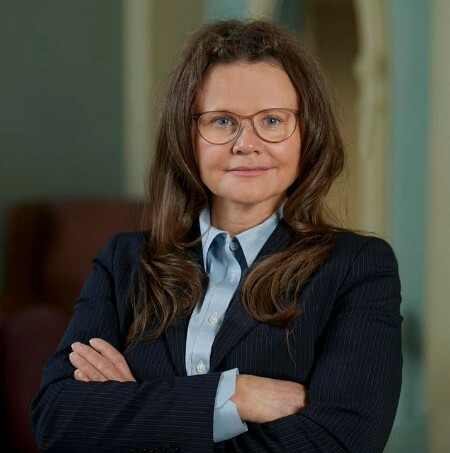 She serves on the West Virginia State Bar Committee on Workers’ Compensation, the West Virginia State Bar Committee on Social Security, and the West Virginia State Bar Committee on Law and Medicine. She served as secretary of the West Virginia Workplace Injury Litigation Group and as a member of the National Organization of Social Security Claimants’ Representatives. In 2009, she received a President’s Award from the West Virginia Association for Justice in recognition of her commitment to protecting the rights of West Virginia workers and their families. In 1997 and 1998, she received awards from the Legal Aid Society of Charleston, for providing free legal work to low income clients. She has lectured in continuing legal education seminars in the areas of workplace injuries and has provided, free of charge, educational presentations to physicians in West Virginia in the same areas. She volunteers her time lobbying at the state level to advocate for the rights of the injured and disabled. She has participated and assisted in drafting various legislation over the past decade and provided her knowledge to various elected representatives and government agencies when called upon. She has successfully represented a disabled state trooper in an appeal to the West Virginia Supreme Court, pro bono. In addition, she served as a volunteer for the Law Explorers, which teaches high school students in various counties about the law and careers within it. She has reported decisions in the West Virginia Supreme Court and federal court in the areas of civil, Workers’ Compensation and other Administrative appeals. She attended undergraduate college at Marshall University majoring in psychology, and was president of the honor society in her department. She graduated in 1991. She worked for a local mental health organization before attending law school, working directly with disabled individuals. She also served as an undergraduate research assistant.